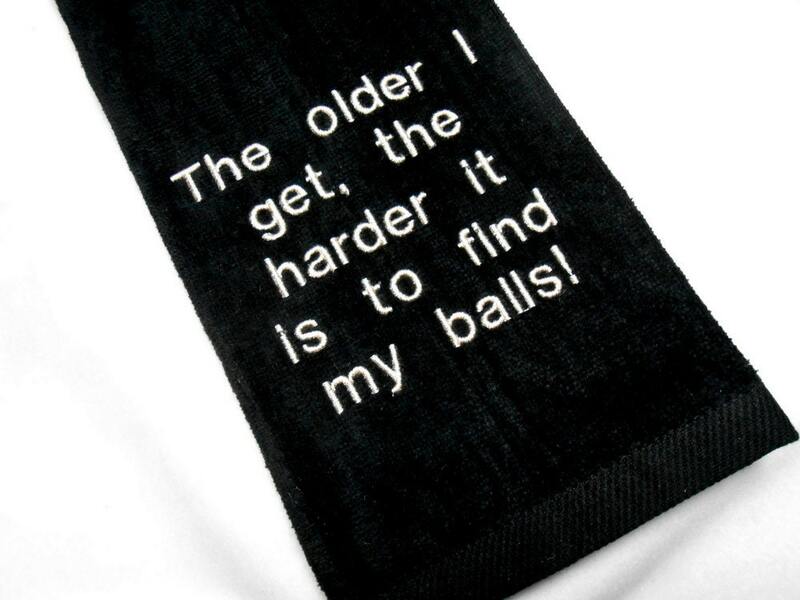 This funny golf towel is a great gift for the golfer. Premium quality sports towel made of 100% cotton with plush velour finish. There is a funny saying embroidered on this large sized thick towel. It takes a lot of balls to golf the way I do! The design measures approximately 5 X 4 inches. If you are adding personalizatio, please leave the name in the Note to Seller box during checkout. Super cute! Fast delivery. I will be sure and favorite this store for future orders.